Shimmer Eye Makeup: Summer makeup should be all about glowing. The weather is warm, the flowers are in bloom, and the world seems to be illuminated in a bright, sunny glow, so your makeup should too. 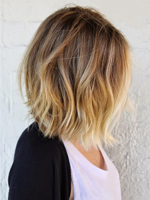 Skin makeup tricks like highlighting and bronzing are important elements of achieving a flawless summer glow. However, many people get so wrapped up in the skin makeup side of summer makeup illumination that they forget how shimmery eye makeup can transform your makeup look and enhance it for the better. Unfortunately, shimmery eye makeup can be difficult to apply to achieve a natural glow rather than a look that is glittery or gaudy. Read on to discover how to achieve a flawless shimmer summer eye look to enhance your natural glow and make you shine brighter than the summer sun. 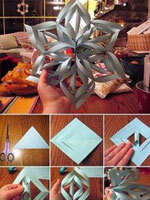 There is a big difference between shimmering and sparkling. 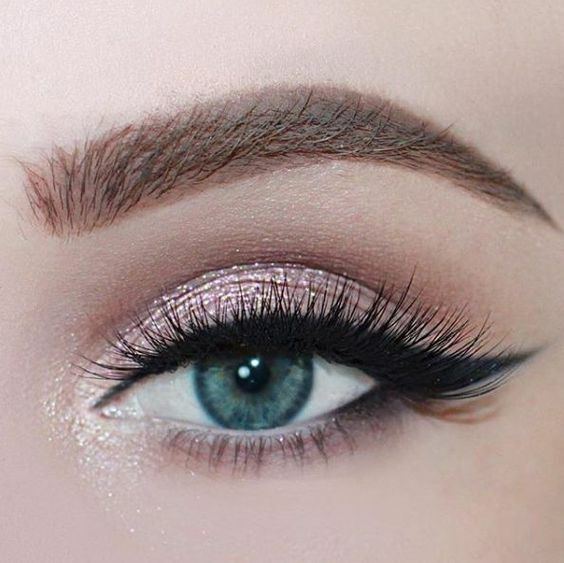 Glitter eye makeup can look beautiful and elegant, but to accentuate a natural summer glow, shimmery eye makeup is a better choice than anything that includes glitter. 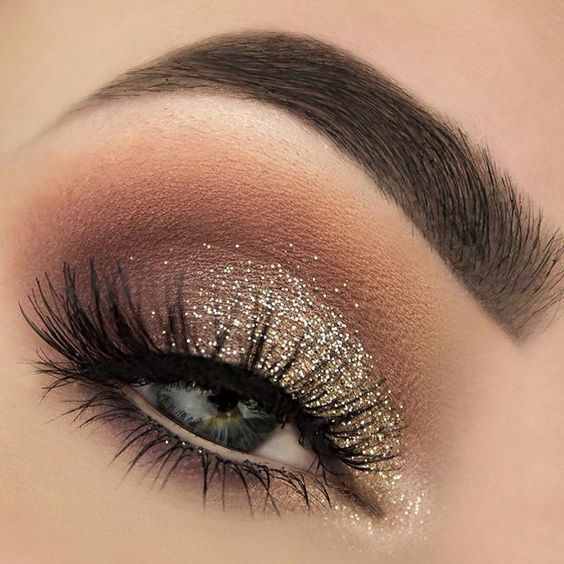 When you’re buying eye makeup and especially eye shadow, watch out for any products that state that they include micro-glitter or micro-sparkle. These warnings mean that the product contains tiny flakes of glitter mixed into the formula. Micro-glitter infusion doesn’t mean the product is bad or low-quality in any way; it just means that it’s not the product you’re looking for if you want a subtle shimmery glow that doesn’t glitter. 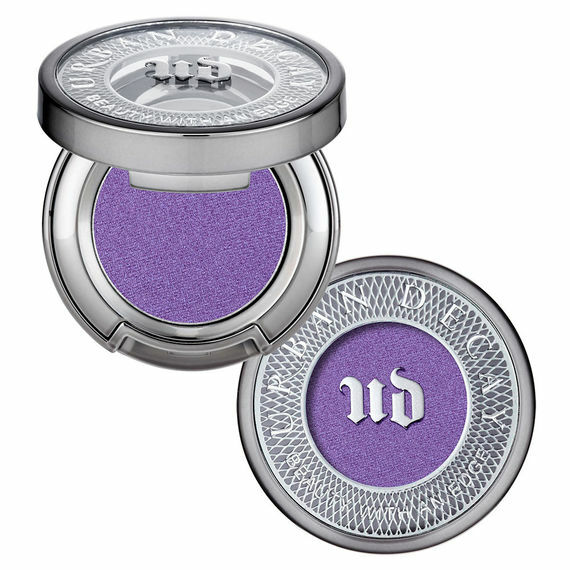 Urban Decay Eyeshadow offers thirty-five versatile shades of top-quality eyeshadow in a shimmer finish. You need to be careful when purchasing this eye shadow because a few of the shades do contain micro-glitter, but its inclusion is stated clearly in the color description and most of the colors do not contain it. Investing in a glitter eyeshadow primer is an excellent way to add some subtle shimmer to your eyes to create a natural glow that creates the illusion that your skin is illuminated from within. You can smooth glitter eyeshadow primer over the entirety of your eyelid without worrying about it looking unnatural or overly done. Then, you can apply eyeshadow over the top of the glitter primer, but you don’t have to cover it all up. 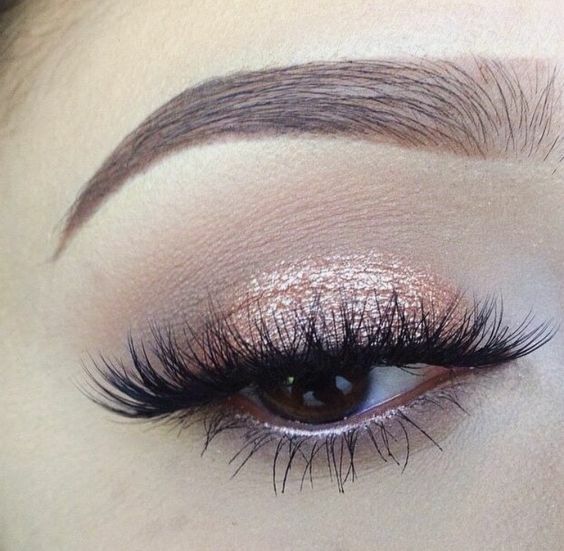 You can leave the glitter primer higher up on your eyelids near your brow bones alone in order to maintain a subtle glow that doesn’t look too dramatic or sparkly. Some glitter eyeshadow primers are too sparkly and are not subtle enough for a natural shimmer eye look. 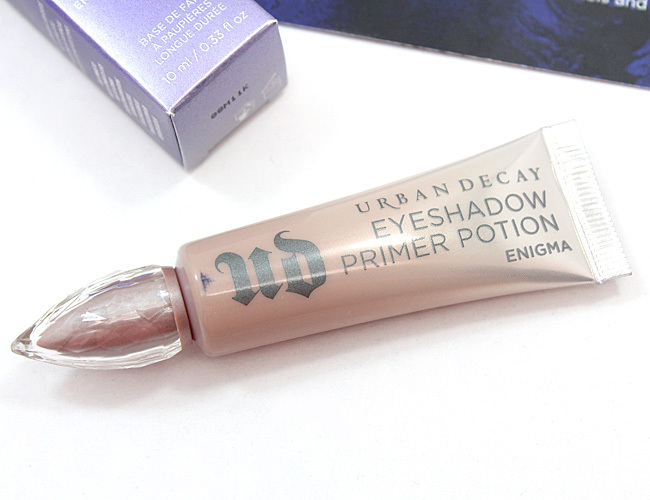 The Urban Decay Eyeshadow Primer Potion in Enigma is an excellent subtle glitter eyeshadow primer choice. This primer slides on clear, but it contains a light sheen of shimmer that glistens in the light without being overwhelming or excessively glittery. When you’re going for a natural shimmery summer eye look, it’s best to stick with different shades of neutral eye makeup rather than bright or bold colors. 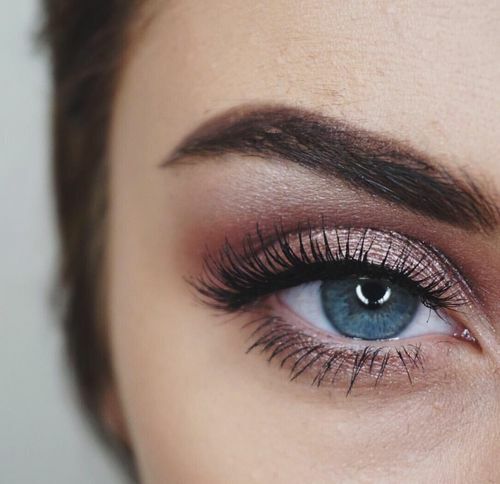 While colorful eye makeup can create a fun, bright, and whimsical look that is perfect for certain occasions, neutral eye makeup looks much more natural than brighter colors and works better for achieving a subtle summer glow. 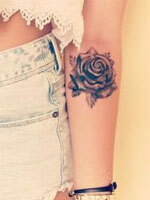 Plus, shimmer mixed with bright colors can sometimes be too overwhelming and dramatic for most occasions. 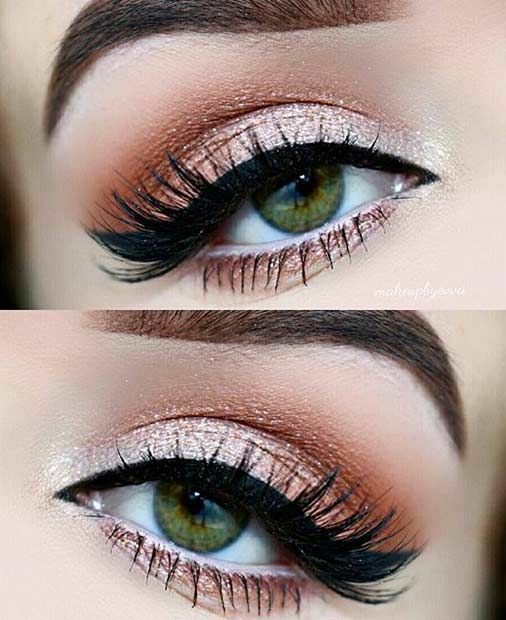 By wearing neutral but shimmery shades of eye makeup, especially eyeshadow, you can create a beautiful makeup look that can be worn anywhere from the beach to work to a summer barbecue or pool party. The perfect product to buy if you’re looking for neutral shimmery eyeshadow is the Urban Decay Naked 1 Palette. This palette contains twelve high-quality eyeshadows, the large majority of which are neutral shimmery colors in shades of gold, bronze, silver, and champagne. 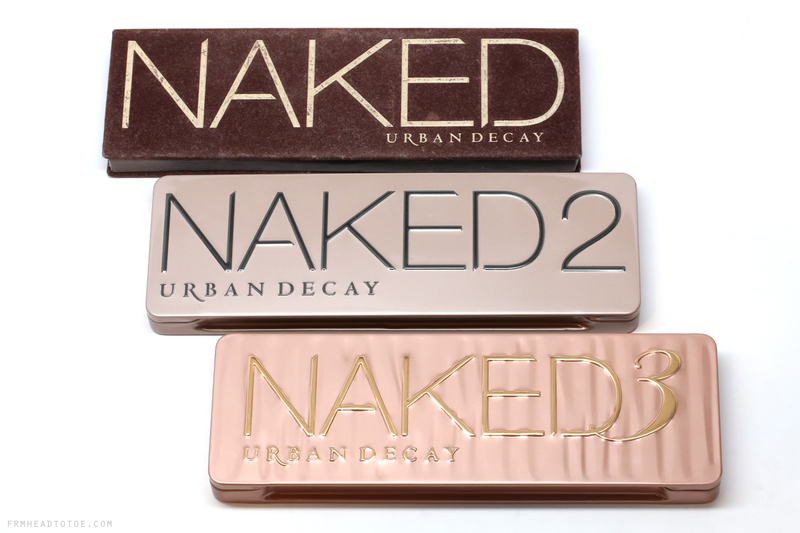 The Urban Decay Naked 2 and Naked 3 palettes are also excellent choices and both contain neutral shimmery shades as well, but Naked 1 contains the widest variety of colors. The Naked 2 palette contains more darker colors and the Naked 3 palette is mostly comprised of pinky shades. You can’t go wrong with any of the three Naked palettes; which one you buy depends on your own preferences and how you imagine your shimmer summer eye look to turn out. 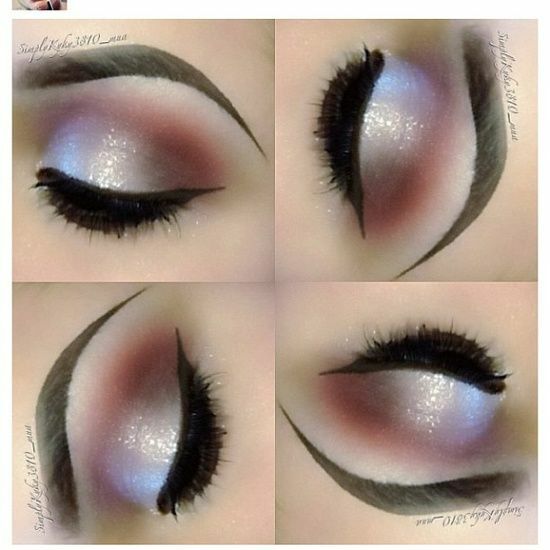 Eyeshadow is the primary element of creating a shimmer summer eye look. 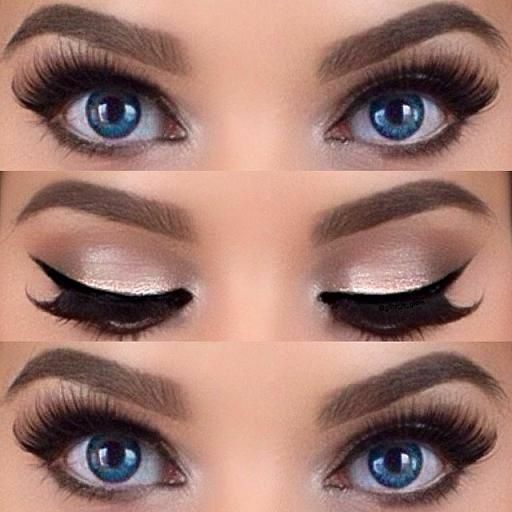 However, eyeliner can also be used strategically within the look to add additional warmth and glow to your eyes. 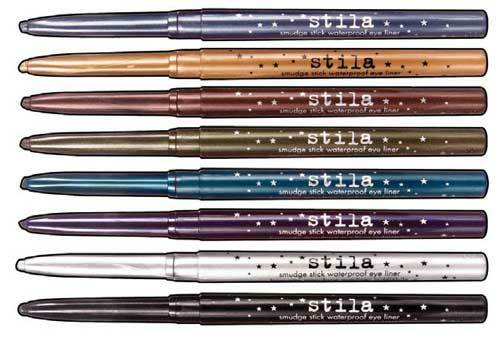 To use eyeliner to add extra warmth to your look, choose a shade of shimmery liner in a gold, copper, or bronze color. 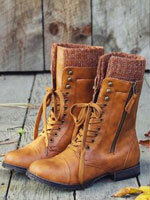 Pair this with shimmery champagne, gold, and warm-toned eyeshadows to create a perfect glowing combination. If you want to include more silvery or pinky shades into your eyeshadow look, you can opt for a shimmery darker brown eyeliner instead. Highlighting is an important part of adding a flawless finish to your shimmer summer eye makeup look. By strategically highlighting certain areas around your eyes, you can brighten and define your eyes and make them appear more illuminated from within. Use a powder or stick highlighter that has a subtle shimmer rather than obvious sparkle or glitter to apply highlighter around your eyes. 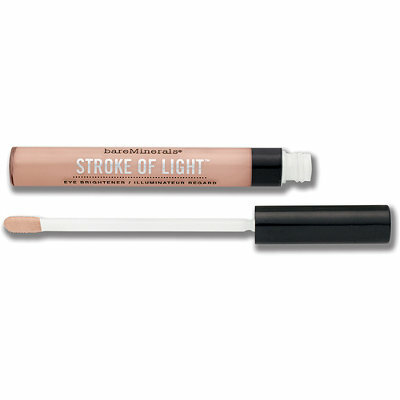 The bareMinerals Stroke of Light Eye Brightener is an excellent subtle liquid highlighter that includes a small sponge applicator that is easy to control for neat application in small places around your eyes. Swipe highlighter across the area just underneath your brow bone to create a bright, lifted illusion for your whole face. 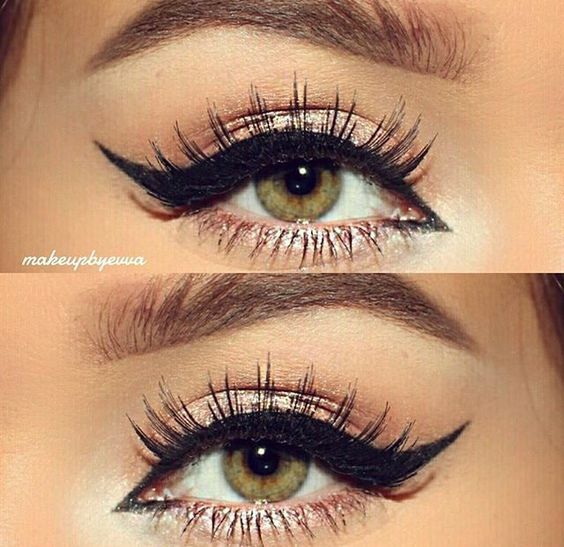 Trace the inner corner of your eyes with highlighter in order to brighten your eyes as well. For additional glow, you can also mix some liquid highlighter with your under-eye concealer and apply it underneath your eyes if you generally experience dullness in that area. If you want to really glow in the summer sun, use these tips to create your own unique shimmer summer eye look. 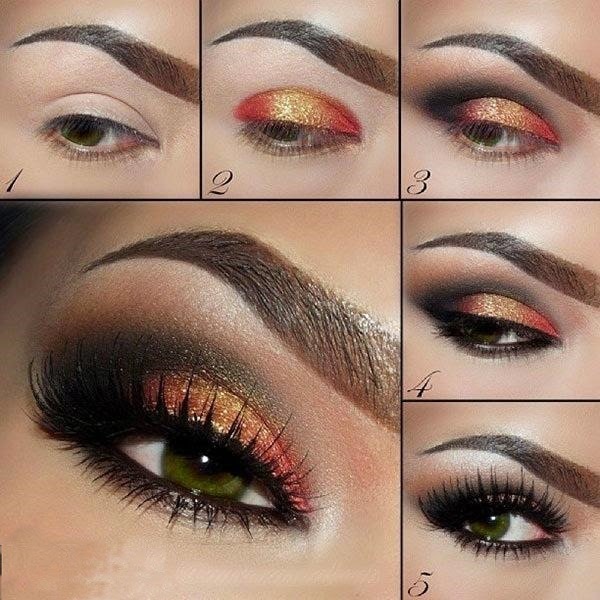 By taking advantage of the tips described above in this post, you can achieve a shimmer summer eye look that is subtly illuminated using your favorite neutral shades of eyeshadow and eyeliner to create a look that is personal to your and your makeup preferences. 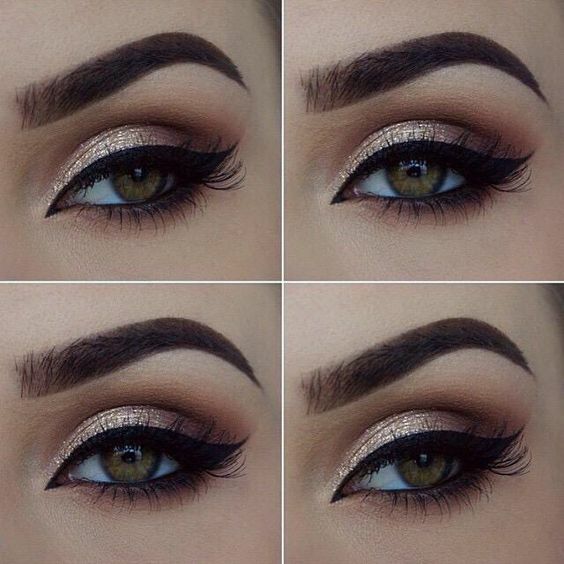 And here are more shimmery eye makeup ideas, enjoy.